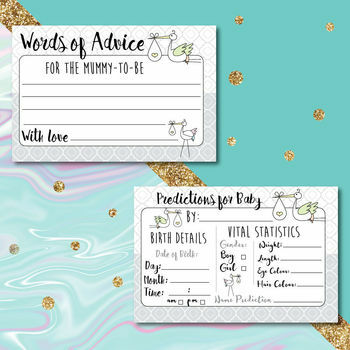 A set of 2 baby shower games in your choice of gender-neutral themes. 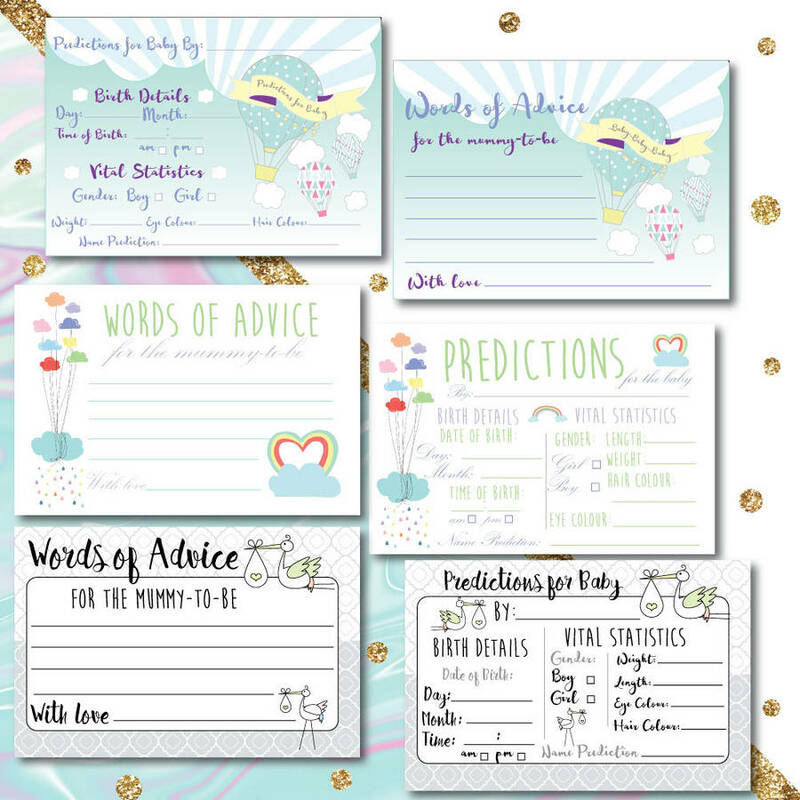 Keepsake 'Advice for Mummy' cards and 'Predictions for Baby' game. If you are organising a baby shower party for a mum-to-be, our Baby Shower Game Set, contains two easy to play and easy to organise, baby shower games in one convenient box. There is a choice of designs, and you can choose the design that best fits your baby shower theme. All three designs are gender neutral and suitable for a girl or boy baby sower. You can choose from: Stork, Rainbow or Hot Air Balloon. 10 'Predictions for the Baby' game cards. 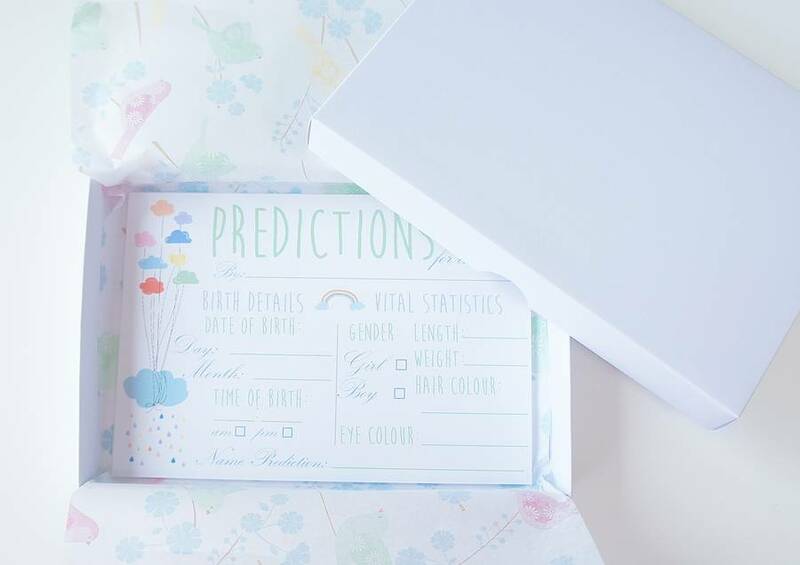 Collect in the cards after everyone has filled them in, and you have a super momento of your baby shower. 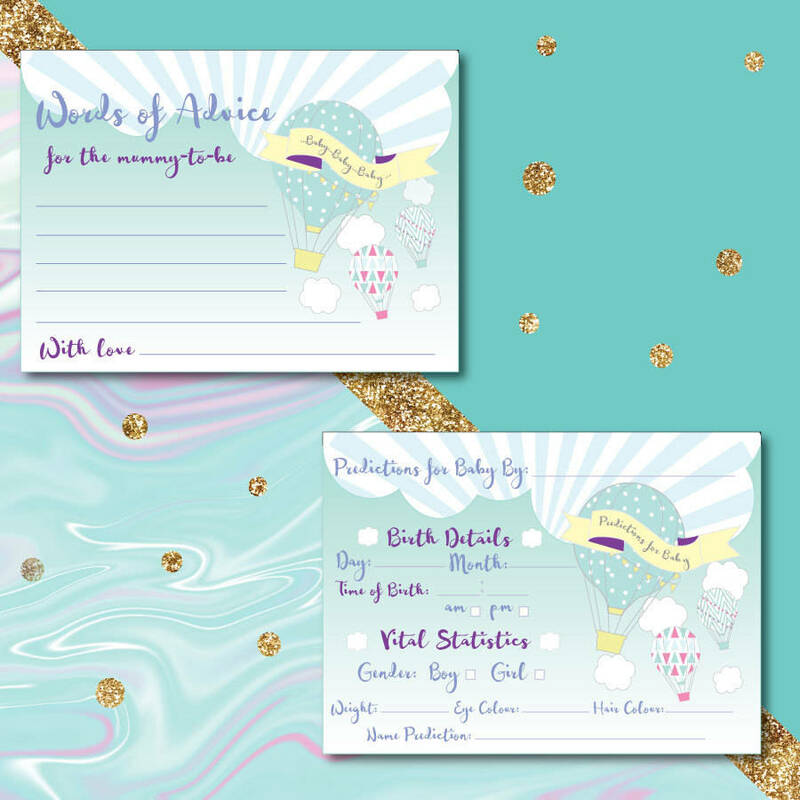 You can order additional cards by using the drop-down menus at the side of this listing, making the games playable even if you have a large group attending your baby shower party. 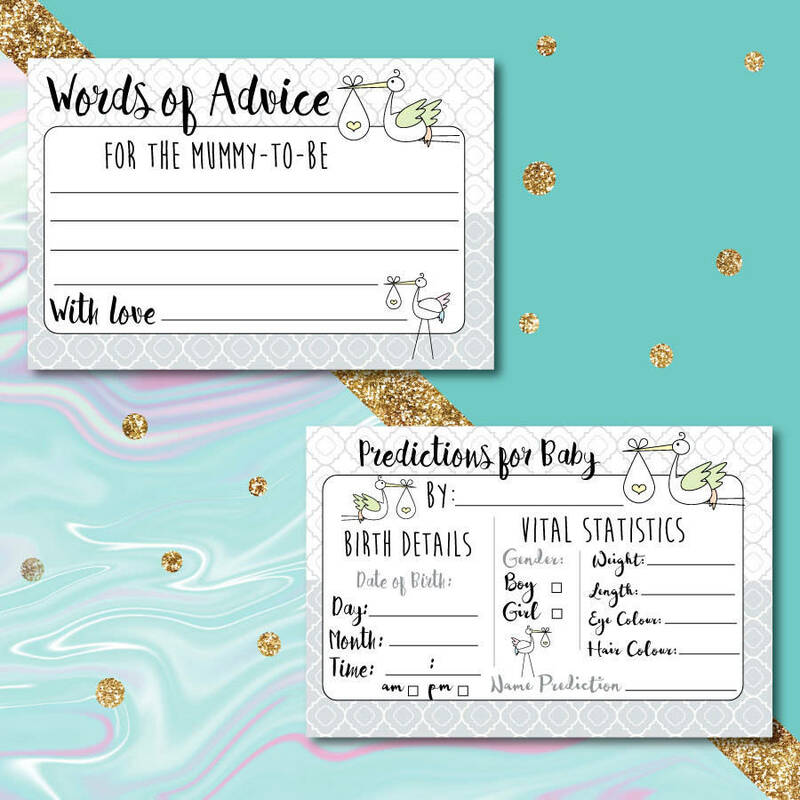 Additional cards for the Predicition Game and Words of Advice cards are listed separately to allow you to fully customise your baby shower. 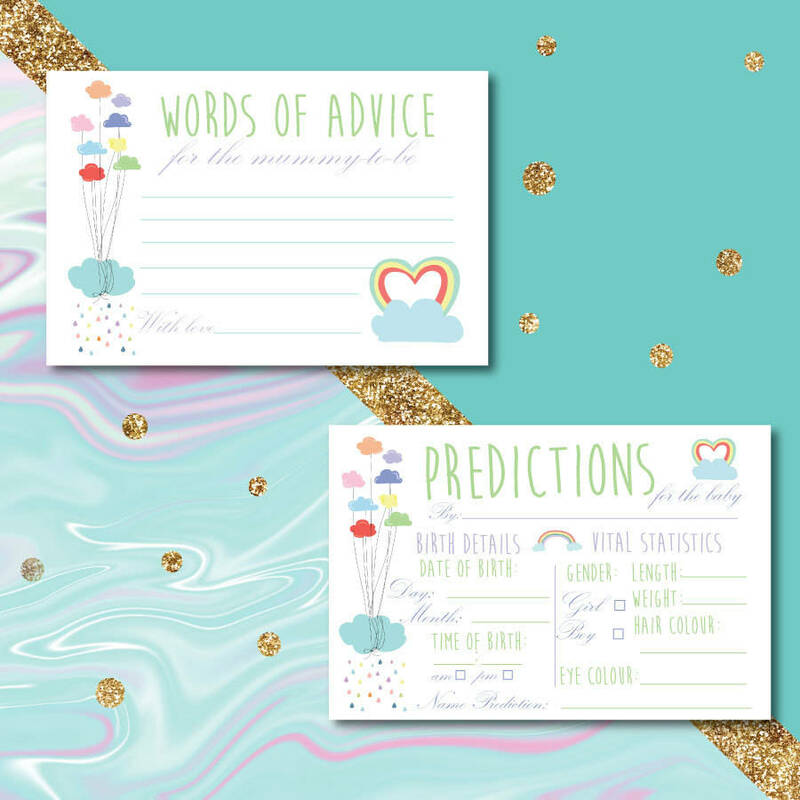 So, for example, if you would like to order 5 additional cards of both the prediction game and the words of advice cards, please select the '+ 5 cards' from both the drop-down menus. Each set comes in a white box and wrapped in tissue paper. All cards are A6 in size and printed on 250gsm matt white card.